There are simply so many things to do in Mount Fuji and the Kawaguchiko area! During our 12 days of travels in Japan, we took the opportunity to do a round trip from Tokyo to Mount Fuji, Takayama, Nagoya and back to Tokyo. In this post, we’ll review what are some of top 9 things to do in Mount Fuji and attractions in the Kawaguchiko area! What would be a trip to Mount Fuji without taking endless photos of the grand old dame herself? Towering at 3,776 metres, Mount Fuji can be seen from almost every nook and cranny in an around the Kawaguchiko area. In fact, once we arrived at Kawaguchiko Station from Tokyo, the very first thing we did was to take a shot of Mount Fuji with the train next to Kawaguchiko Station. During our trip, we were also very thankful to be among the less than 10% of travellers who got to see the entire Mount Fuji uncovered. Although we did not get to see Mount Fuji with its snow cap top this time, we were thankful to have clear days to see her in all her magnificent beauty. In fact, during our stay at Fuji Kawaguchiko Onsen Konansou, we were surprised that the staff were also taking photos of Mount Fuji. As it turned out, the last few days prior to our arrival, Mount Fuji could not be seen due to the thick clouds that obstructed the view. We hope you’ll get to see the majestic Mount Fuji on your trip and have endless photo opportunites as well! If you’re wondering about what to eat in Mount Fuji and Kawaguchiko area, look no further than Sanrokuen (山麓園) charcoal BBQ restaurant. As we were staying at the Fujizakura Inn, Sanrokuen came highly recommended by the hotel staff. In fact, prior to our arrival, we found that many visitors have given rave reviews for Sanrokuen because of its unique dining experience. After we were seated, red hot burning charcoals were brought to our bbq pit. Thereafter, a staff came with our order of food and showed us how BBQ at Sarokuen was done. The ingredients were fresh and the seafood was oh so sweet! The meal also ended with a HUGE pot of Hoto Noodles which was one of the best we’ve had in Japan. Check out our full review of Sanrokuen BBQ Restaurant here. Hence, if you’re looking for a Mount Fuji restaurant to dine at, we highly recommend Sanrokuen and its unique charcoal barbecue experience! As the stroll around Lake Kawaguchiko (bounded by the Kawaguchi-Machi Bridge) takes less than an hour to complete, we took the liberty to walk along the paths around the lake. The beauty of this walk is that you are able to take beautiful photos of Lake Kawaguchiko in the front and Mount Fuji in the background. During this walk, we were only able to see the top of Mount Fuji as it “peeked” above the thick clouds. One of the many scenic shots of Mount Fuji that is not to be missed. *Do not be confused between this walk and the walk around the ENTIRE Lake Kawaguchiko – which is not humanly possible definitely not recommended by 2(unfit)bearbear. If you’re doing more than a day trip to Mount Fuji area, check out the Kawaguchiko/Saiko Sightseeing Bus Tour around the 5 lakes of Mount Fuji. The 2 day pass for the Mount Fuji Sightseeing Bus costs 1300 yen for the red line (Lake Kawaguchiko) and green line (Lake Saiko) while 1500 yen gets you an additional blue line that covers the Lake Shojiko/Lake Motosuko area. Since each return trip may already cost up to 900 yen around Lake Kawaguchiko, the Sightseeing Bus offers great value while visiting the attractions around the 5 lakes of Mount Fuji area. The Kawaguchiko Natural Living Center (accessible by the Mount Fuji Sightseeing Bus) offers great views of Mount Fuji with Lake Kawaguchiko between you and the mountain. Here, you’ll be able to enjoy beautifully curated landscapes with Mount Fuji as the backdrop. We also chilled at the local cafe here at Kawaguchiko Natural Living Center and enjoyed a delicious and rich matcha ice cream (see matcha ice cream Mount Fuji above) – a must try while you’re here! For those who are willing to splurge a little, check out Kawaguchiko Urban Resort Villa where you’ll be able to have views of both Lake Kawaguchiko and Mount Fuji right at your own private balcony! There are so many things to do around Mount Fuji. If you’re doing a Mount Fuji day tour, you can consider visiting attractions around Lake Saiko – one of the 5 lakes around Mount Fuji. This time, we visited Fugaku wind cave where you’ll be able to see ice formations as well as some exhibits on how folks in the past used the wind caves as a natural refrigerator to store food and seeds. Click here for the full review of our stay at Fuji Kawaguchiko Onsen Konansou. As we alluded to in the previous paragraph, there are several onsens at the foot of Mount Fuji. Many also offer the ryokan experience. Check out Mount Fuji onsen experiences at Fujiyama Onsen or Hotel Mifujien to complete your Mount Fuji travel experience! If you’re wondering what to do in Mount Fuji or what are the things to do in Mount Fuji, we hope that this post has answered those queries and more! 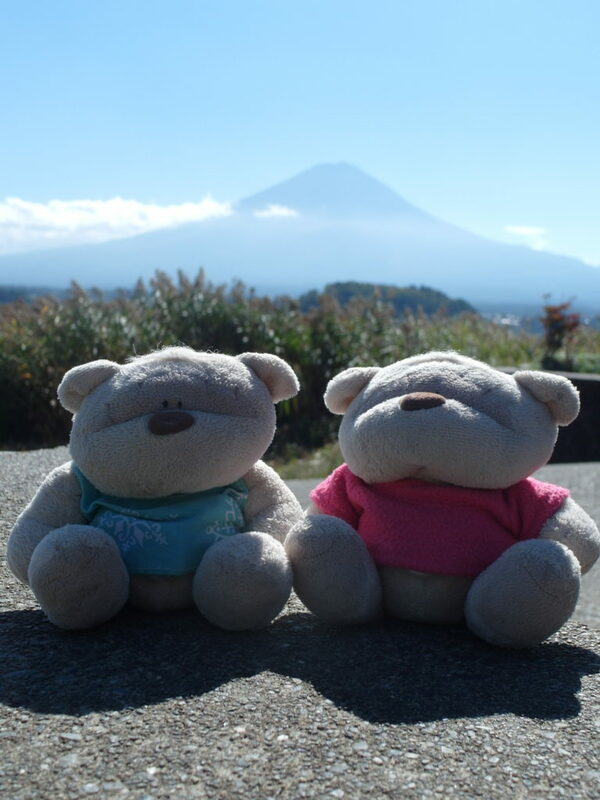 Enjoy your next Mount Fuji trip! Hummanaya / Kudawella Blow Hole, Dikewella, Sri Lanka: Hear The Roar & Feel The Spray! Day trip from Singapore to Johor City Square in the shortest possible time!